Gavin Hood has had quite a few misfires since his film Tsotsi took home the Oscar for Best Foreign Language Film. Rendition was a generic abduction thriller, X-Men Origins: Wolverine was an abomination, and Ender’s Game was a diversion at best. Maybe the big budgets got the better of him, or maybe he just hit a slump. The good news is that after all these disappointments, Hood has crafted his best film yet in the form of British thriller Eye in the Sky. Powerfully acting, suspenseful, and unabashedly intelligent are just a few terms that could easily be used to describe the film. Guy Hibbert’s script was proof that intelligent thrillers are far from dead. This was a movie that kept viewers guessing every step of the way. Considering the fact that it was released right when big-budget “check your brain at the door” blockbusters were starting to release, it was a pleasant change of pace. The cast, consisting of Academy Award winner Helen Mirren, Emmy Award winner Aaron Paul, Golden Globe winner Alan Rickman, BAFTA Award winner Barkhad Abdi, and Tony Award winner Richard McCabe were also captivating every step of the way. 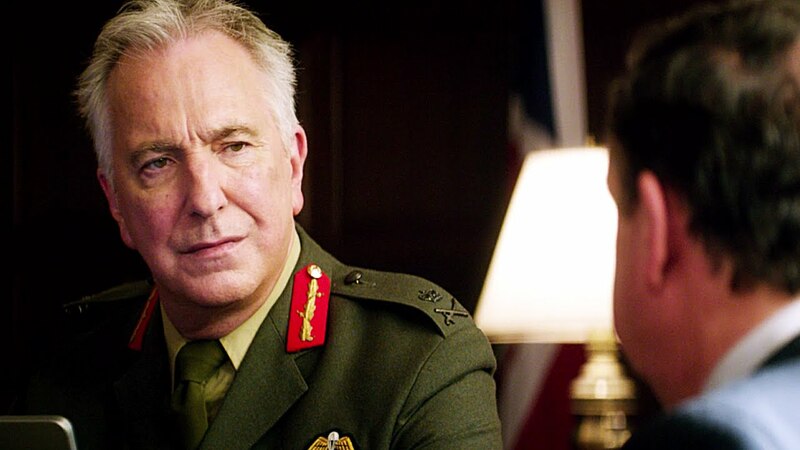 In particular, the late Alan Rickman gave us yet another reason why he was such an acclaimed actor. Eye in the Sky was a modest box office success considering its limited release and stiff box office competition competition, but the people who saw it have stayed pretty quiet. Maybe it’s because it opened wide right when Batman v Superman and Zootopia were released. If you’re sick of the loud action movies that have been rolling out every weekend this summer, take a break and check out the surprisingly cerebral Eye in the Sky. It’s well worth your attention. Jeff Nichols is without a doubt one of the most underrated directors in Hollywood. His ability to put together meaningful stories with likeable and relatable characters is unparalleled. 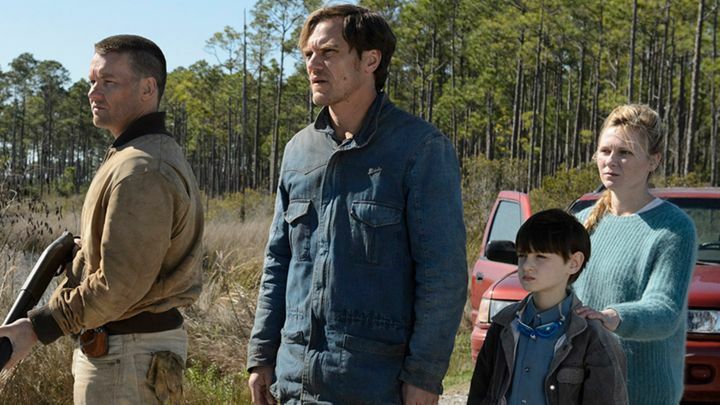 Admittedly, Midnight Special is probably not the best film from Jeff Nichols. Then again, when your filmography includes movies like Take Shelter and Mud, it’s safe to say that there’s plenty of competition. So, while Jeff Nichols’ first stab at the sci-fi genre isn’t perfect, it’s still a rewarding watch. Midnight Special plays out like a throwback sci-fi movie comparable to Close Encounters of the Third Kind or ET. Unfortunately the limited release of the film ensured that even the most devout ‘80s film fans would have trouble finding a theater. Thankfully, now that the movie is available On Demand, you have no excuse not to watch it. Despite the obvious 1980’s influences, this is still a Jeff Nichols film. Like every Jeff Nichols movie, the focus is on family. The story of parents trying to decide what to do with their allegedly extraterrestrial child is surprisingly touching. The cast brings plenty of emotion to a movie that could come across as kind of corny. Their dedication to bringing nuanced performances to the film results in a movie that always feels sincere. When you combine that with expert craftsmanship behind the camera, you have a film that feels like more than just a nostalgic throwback. Granted, the nostalgia definitely helps make the movie more fun, but that touch of Jeff Nichols is what really helps the movie soar. This has been a great year for mainstream horror movies with The Conjuring 2, Lights Out, The Shallows, and The Purge: Election Year all enjoying plenty of success critically and financially. If you haven’t been paying close enough attention, you may have missed the surprisingly large assortment of indie horror movies that have also come along this year. The Invitation, Holidays, Southbound, and Ava’s Possessions all warrant a recommendation. Yet one movie stands out as not just the best indie horror flick of the year, but possibly the best horror movie of the year period – Jeremy Saulnier’s Green Room. The actual plot of Green Room isn’t exactly groundbreaking. Teenagers piss people off and the people retaliate. Making the pissed off people skinheads definitely helps make push the movie in a slightly different direction, but overall the story isn’t anything your average horror buff hasn’t seen. The slight lack of originality does very little to bring the movie down though. 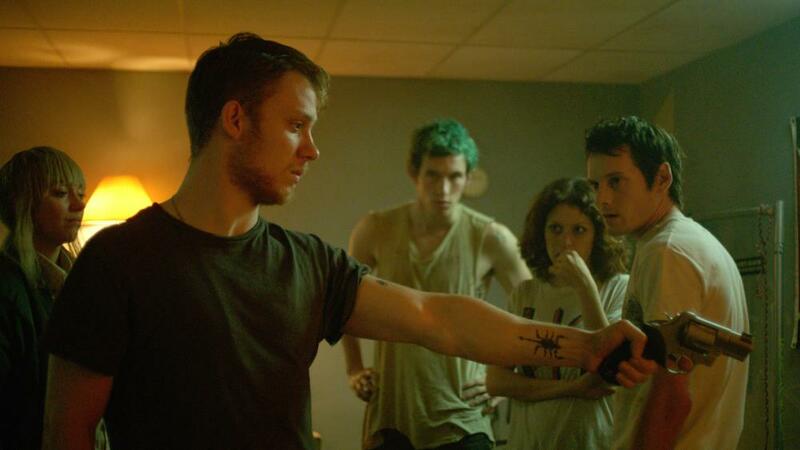 Green Room is smart, stylish, brutal, and at times darkly funny. On top of that, the devoted cast led by the late Anton Yelchin are consistently excellent. What really allows Green Room to excel, however, is its ability to build tension. Scene after scene, the film ratchets up the intensity and raises the stakes. The surprisingly fleshed out characters are easy to admire, which makes the gut wrenching suspense that much more palpable. The grindhouse inspired violence makes what unfolds in the movie even more nerve-racking. Green Room likely won’t find a large enough audience to make it a future horror classic. A cult classic, however, is much more of a possibility. Hopefully ten to twenty years down the road, Green Room will be playing at your local art theater as a midnight movie. 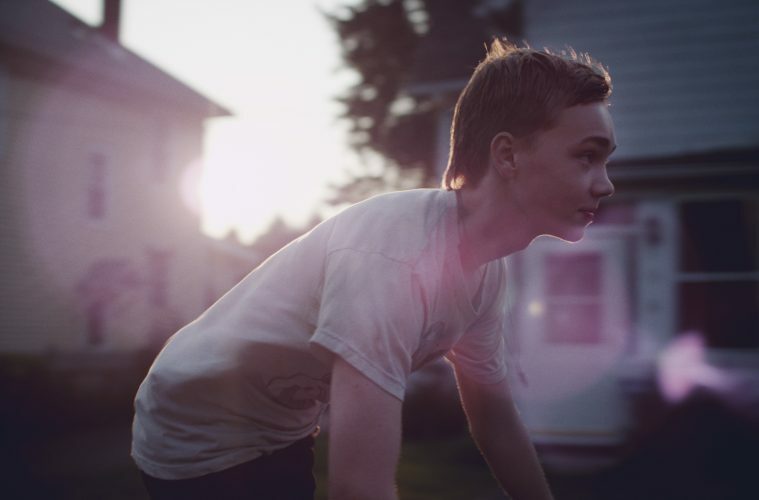 There hasn’t been such a raw and honest look at bullying since 2004’s underrated masterpiece Mean Creek. With only 999 votes on IMDB at the time of writing, it would be a crime not to include King Jack on the list of overlooked movies from this year. The plot revolves around a scrappy teenager named Jack who has to help look after his little cousin after his aunt falls ill. The problem is that this little cousin is extremely impressionable, and the bullies hunting for Jack aren’t going to stop just because he’s helping babysit. The two young actors that earn top billing are beyond capable of tackling the sensitive subject material. They take on the roles with skillful finesse that’s hard to find in comparable young actors. Here’s the thing though – they’re only part of what makes this movie so hypnotising. This may be Felix Thompson’s directorial debut, but it doesn’t show. Thompson’s work behind the camera is evident from the opening scene. The way each scene is carefully planned is beyond evident by the time the movie ends. In addition, Thompson wrote a killer script that doesn’t shy away from some of the more controversial aspects of bullying. He clearly seeks to avoid sugarcoating the material, and it results in a shockingly authentic take on a number of themes. The movie is available to stream now on a number of different platforms. Sitting through the relatively short runtime never feels like a chore. If you want to watch a movie that’s daring and intelligent, set aside some time and give King Jack a look. I described the basic premise of the movie, but to go into more detail would spoil things. This is a movie you need to experience for yourself. 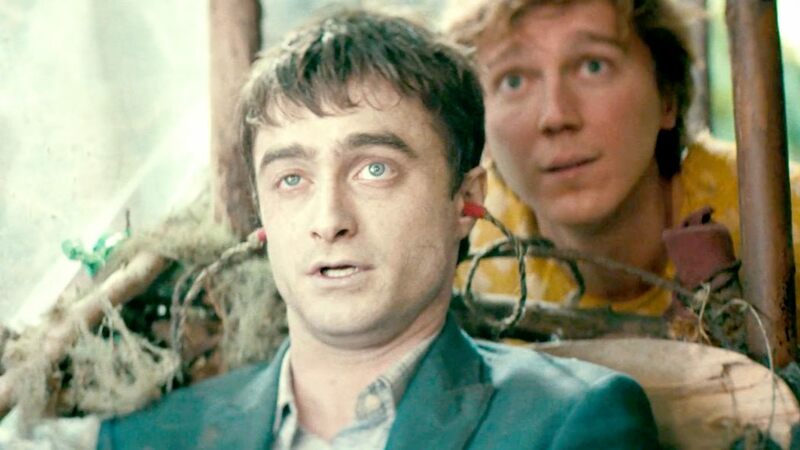 There’s definitely a chance that Swiss Army Man will be a bit too odd for some, but there are just as many people who will fall head-over-heels in love with this quirky look at friendship. Paul Dano has proven numerous times that he has incredible range as an actor. Swiss Army Man further proves that point. Daniel Radcliffe has had a few solid roles since Harry Potter ended, but none have stuck out quite like this one. Maybe that’s because movies like The Woman in Black, Horns, and Victor Frankenstein aren’t exactly acting showcases. However, the more logical conclusion is that he was actually pretty astounding in this role, not just in comparison to his more recent roles but in general. The OST is also one of the most memorable of the year. The harmonious tunes that appear in the music are catchy and often mesmeric. Manchester Orchestra was mostly in charge of the whole thing, but Dano and Radcliffe also have a hand in things when they sing along to everything from Cotton Eyed Joe to the Jurassic Park theme song. There are too many admirable qualities to be discussed. The best advice I can give you is to see the movie for yourself. There’s a chance that it’ll be too eccentric for you, but it’s one hundred percent worth giving a shot. I assume that a large chunk of people won’t regret the decision to watch the movie.